The Navy has decided to deny more than 4,400 civil claims totaling more than $63 billion related to water contamination at Camp Lejeune in North Carolina. Speaking at the Pentagon on Thursday, Navy Secretary Richard Spencer told reporters that he made the decision earlier this week after the Navy judged it had "exhausted our avenue of satisfaction for the claimants." He cited three separate legal rationales -- including a 2016 district court decision related to the principle of sovereign immunity, an exemption to the Federal Tort Claims Act and the Feres doctrine -- for why he made the decision after his own review and at the advice of the Navy's Judge Advocate General's Corps, Navy General Counsel, and the Department of Justice. 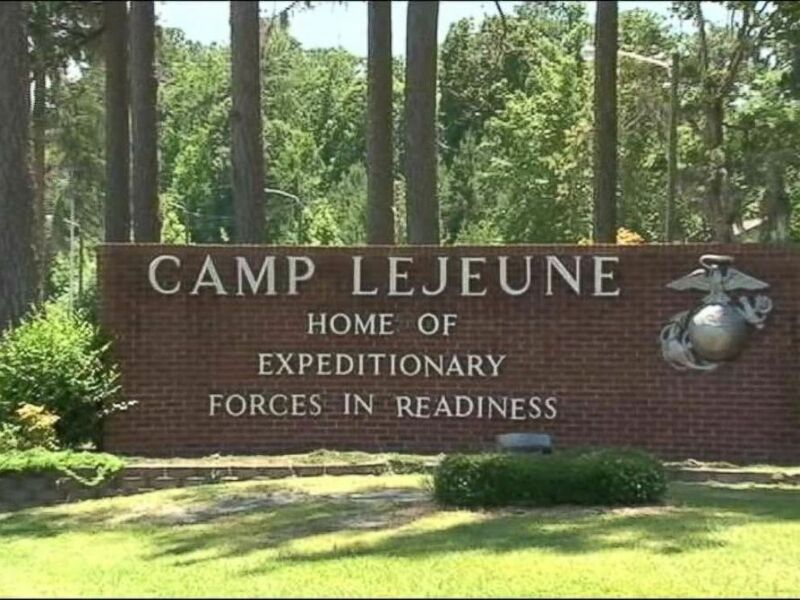 Two drinking wells at Lejeune -- one of the Marine Corps' largest bases – were found to be contaminated with industrial chemicals in 1984 and 1985 before they were shuttered. The Department of Veterans Affairs estimates that as many as 900,000 individuals were affected between 1953 and 1987, many of whom became eligible for disability benefits after the Camp Lejeune Families Act of 2012. Spencer said his decision this week has "no impact" on those benefits. One of the chemicals that contaminated drinking water at Lejeune was Trichloroethylene, more commonly known as TCE. The chemical is used to degrease metal and is listed as a "known human carcinogen" by the Center for Disease Control and the Environmental Protection Agency. For the last 20 years, more than 4,000 claims of adverse health effects related to the water contamination have been filed against the Navy "with new claims submitted literally every week," Spencer said. The VA has linked the following eight diseases to exposure to the contaminants in Lejeune's water supply during that 34-year period: adult leukemia, aplastic anemia and other myelodysplastic syndromes, bladder cancer, kidney cancer, liver cancer, multiple myeloma, Non-Hodgkin's lymphoma, and Parkinson's disease. "This is a difficult decision to be very frank with you," Spencer said, adding, "This is not a happy outcome but it is fact that we had to decide on to move on." Camp Lejeune, a military base in North Carolina, is home to hundreds of thousands of Marines and their families. It's also the site of what may be the largest water contamination in American history. The secretary emphasized that service members and veterans affected by the water contamination receive healthcare and disability benefits and that they can now seek other remedies through congressional action. He said the Navy did not have the "legal ability" to set aside other funds for the claimants. ABC News' Stephanie Ebbs contributed to this report.